"Kevin is a helluva good writer and, if the Gonzo King were alive, he would give The Footloose American a thumbs-up." – Douglas Brinkley, Professor of History at Rice University and literary executor of Hunter Thompson's estate. The journey that gave birth to Gonzo. 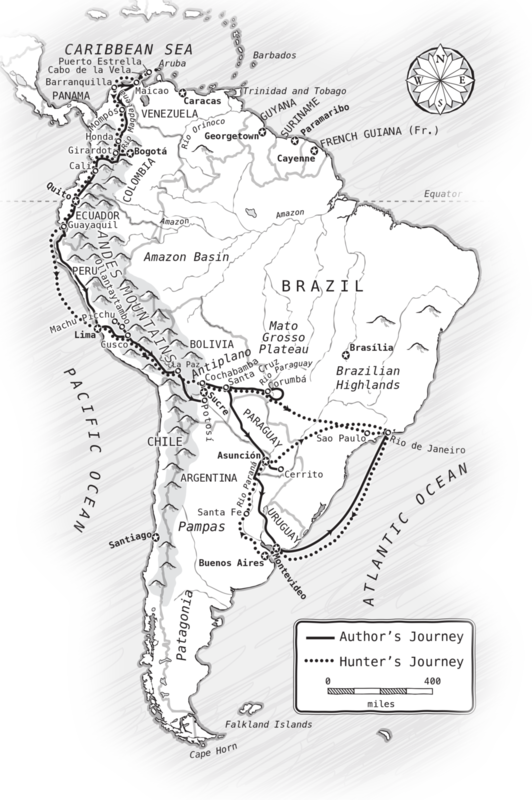 In 1963, an unknown, twenty-five-year-old reporter named Hunter S. Thompson completed a year-long trek across South America, writing for an upstart paper called the National Observer. With the gritty humor and keen political observations for which he later became known, correspondent Thompson reflected on topics still making headlines today: the rise of leftist populism, struggles over resource extraction, the marginalization of indigenous peoples. It was in South America, on the front lines of the Cold War, that the young Thompson began making a name for himself. In fact, the Hunter S. Thompson who would become America’s iconic “gonzo journalist” was born in the streets of Rio, the mountains of Peru, and the black market outposts of Colombia. In The Footloose American, Brian Kevin traverses the continent with Thompson's ghost as his guide, offering a ground-level exploration of twenty-first-century South American culture, politics, and ecology. Contrasting the author's own experiences along the Hunter S. Thompson Trail with those that Thompson described in his letters and lost Observer stories, The Footloose American is at once a gripping personal journey and a thought-provoking study of culture and place.